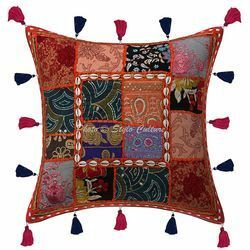 Perk up your decor instantly with this pillow cover featuring bold cover printed patches in cotton stitch together. The geometric checked design reminiscent of tile or a trellis creates an eye-catching accent in your room. 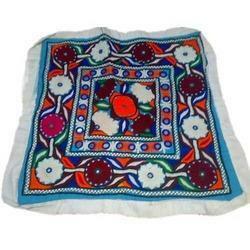 A cushion cover is a fabric case that covers cushions. This elegant cushion cover features a lively pattern in classical design. Premium quality cloth is specially chosen to achieve lasting beauty.